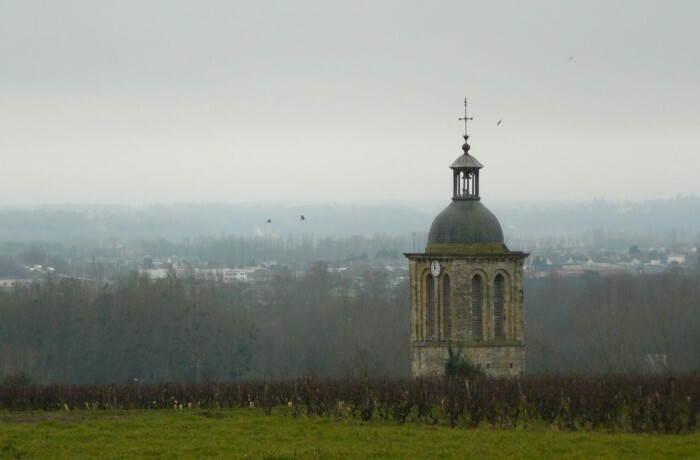 Driving along the riverbank from Tours to Vouvray is always a pleasure. 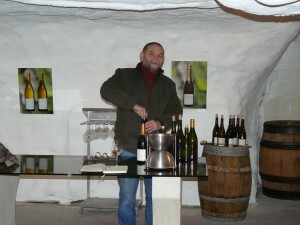 The troglodyte houses hidden in the limestone rock lie directly under the Vouvray vineyards that sit quietly on the plateau above. 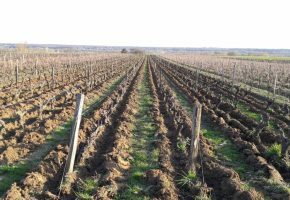 This plateau, planted exclusively with Chenin blanc grapes and making some of the best known white wines from the Loire valley, was obliterated on June the 17th 2013 by a freak hailstorm that practically wiped out the entire vintage for many growers with parcels there. 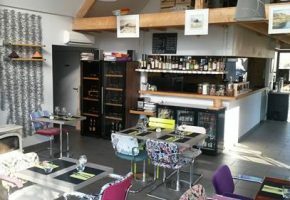 We were there to catch up with Bernard Fouquet of Domaine des Aubuissieres, one of the top growers in the region and whose wines we regularly include in our tutored Loire wine tastings here at le tasting room. We typically show 3 whites and 3 reds during our standard introduction to the Loire valley and almost without fail, Bernard’s Vouvray is the favourite white of the tasting. The terroir of Vouvray is perfectly suited to Chenin Blanc – delicate floral, pear notes and honeysuckle are balanced by beautiful refreshing acidity and sometimes a little residual sugar. The past 2 vintages have been very hard for growers. 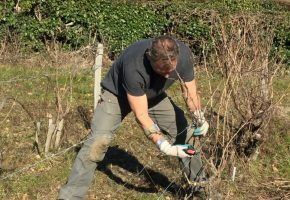 Early budburst, severe frost in April, lack of sun and endless rain in 2012 saw low yields and little sweet wine and then, just to add insult to injury, 2013 brought devastation in June, practically wiping out the appellation for many growers. Yesterday was the first time we’ve had the chance to catch up with Bernard for a while so it was good to get his take on the year and hear his news. Bernard estimates that he has lost the equivalent of 60,000 bottles this year due to the hailstorm of June 17th 2013. Of his 30 hectares, around 12ha were completely wiped out and with what remained he has made around 20hl/ha. The hailstorm was so severe that rabbits and hares were killed by the hailstones (which were the size of eggs) and wires on the trellising were snapped in two. The fact that he was insured has helped, and it was interesting to discuss this issue. We’d always thought that growers did not insure themselves against this kind of eventuality because the costs are too high, but in fact, Bernard told us this is not the case. 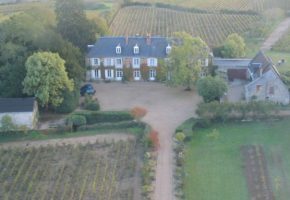 Insurance against hail costs around 80€ per hectare – the cost of a few bottles of wine. So why do many growers choose not to insure against this type of risk? It may have something to do with the fact that until 4 or 5 years ago, the state would be called upon to bail growers out in these kind of situations but an EU law passed since states that if something can be insured against then the state will not pay out. Growers that do not have stocks from previous years and were not insured will struggle during 2014. Bernard estimates that, with his insurance and the stock he has put aside (that he will have to dip into to make up the shortfall), he will still be around 30,000 bottles short. Relationships with buyers are crucial in this kind of situation as demand will outstrip supply and growers will have to try and keep them happy. This involves releasing enough stock to keep supply from drying up completely while also maintaining a presence on the market. A tough task. To the 2013’s (what little there is of them). We tasted a selection of wines from barrique that were racked only yesterday so it’s a little hard to judge final quality at this stage. Suffice it to say that we, and Bernard, feel that the wines from this vintage are for relatively early drinking. Pronounced fresh sweet pear aromas on the nose with a hint of pink grapefruit. A little hint of bitterness creeps in on the palate but as the wine is still on the less this should diminish with time. Refreshing and fruity, we think this will be more popular with our clients than the 2012 which we found to be a little too ‘tendre’. It has 8g of residual sugar which is backed up with crisp Chenin acidity. A little more floral on the nose with delicate white flowers, peach and pear. A note of wet wool creeps in after a while and a delicate honeyed palate. The 10g of residual sugar make it seem quite a bit sweeter than the 2013 and it’s certainly less ‘tendu’ as the French would say. Light and fresh with a tropical pineapple aroma. Seems quite a bit drier than the 2012 and is certainly a bigger wine with more minerality. 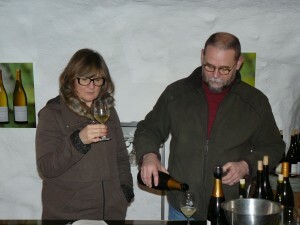 Bernards first vintage of a dry dry Vouvray from a small plot that has huge potential. 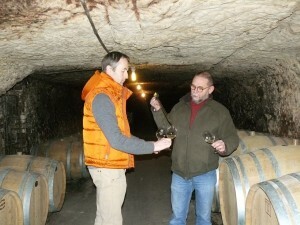 He had hoped to vinify in cuve but quantities were so small that he has used old barriques instead. 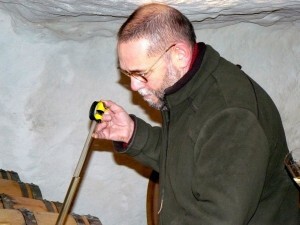 Ideally he is looking for a wine that doesn’t show the wood and while there is a little evident bitterness that can be linked to the barrels at the moment this is not dominant. It has a slightly citric, lime flower element on the palate that we like very much and a lovely tight minerality. He will reassess the wine in June and if the woody notes have receded he will bottle then and if not will leave the wine until September. This is Bernard’s oak fermented Vouvray that he normally divides into 3 and uses a third of new, 1 and 2 year old barrels. He would normally have 19 barrels but volumes were so small in 2013 that he decided against investing in any new barrels and so has vinified in 9 older barrels. 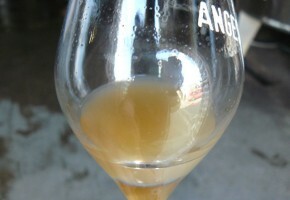 Racked and sulphited yesterday it has a good balance of fruit and agrumes on the palate and the oak does not dominate. A real quince paste aroma on the nose and a whiff of ‘croute de fromage’. Quite rich on the palate with a bitterness that lingers. It seems very young still – needs another couple of years for the woody notes to recede and the balance to soften. Really pear droppy on the nose with exotic fruits. Pineapple and flowers. The slightly amylic aromas should dissipate over time. Nicely balanced on the palate but with 25g of residual sugar on the palate, although we like this wine we wonder where it fits in. 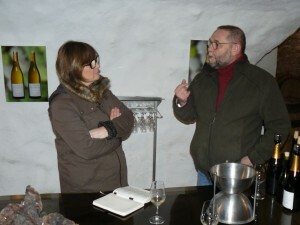 We love Bernard’s sparkling wines. This is a blend of wines from 2011 and 2013. It has an attractive pear-like nose with a touch of exotic fruits. Super fresh on the palate, crisp, lemony and a hint of grapefruit. With just 5g of residual it’s a great aperitif. A sparkler using the 2009 vintage wine. There is a lovely rich yeasty, brioche note on the nose that we love. The wine was aged in barriques and gives a depth and weight to the wine that is delicious. A creaminess lingers on the finish. Just love it – move over Champagne. 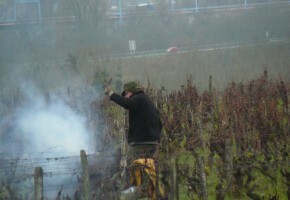 This year we are hoping mother nature will be a little kinder to our growers here in the Loire. After 2 really hard years, they deserve an easier time in 2014. The 2014 vintage is drawing to a close here in the Loire with the last passes through the vineyards of the Layon taking place over the weekend. Some Chenin was still hanging in the Layon on Sunday but I dare say with the break in the weather today and strong rain, this marks the end of the harvest for most people.